Spray splashes over a car at the Point in Westport, Co. Mayo as Storm Ophelia batters the country. Photo : Keith Heneghan / Phocus. A fallen tree on Northbrook Road, Ranelagh, which was blown over during Storm Ophelia. 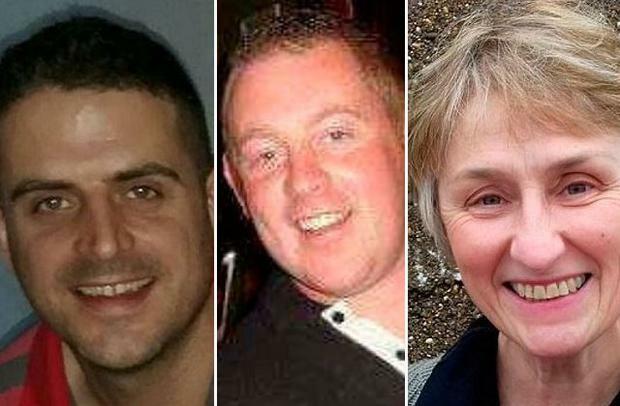 Tributes have been paid to three victims who lost their lives in Storm Ophelia related incidents. Three people were killed as Ophelia left a trail of destruction in its path across the country. The victims were killed in three separate counties following tragic incidents directly linked to the strongest storm to strike Ireland in more than 50 years. The first fatality occurred at approximately 11.40am outside Aglish village, Co Waterford. Clare O’Neill (58) died after the car she was driving was struck by a tree. She was due to celebrate her 59th birthday on Tuesday October 17. Ms O’Neill’s mother, who is in her 70s, was a passenger in the car and was injured during the incident and was transferred to Waterford Regional Hospital. 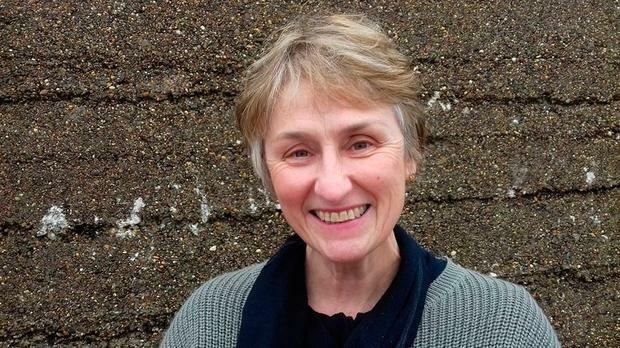 Clare O’Neill worked as an oncology nurse for over three decades and recently worked as Cancer Support Co-Ordinator with the Cork ARC Cancer Support House. “She was a very jolly woman, very helpful,” local shopkeeper Richard Hurley said. The second tragic death caused by Ophelia occurred at around 12.30pm in Cahir, Co Tipperary. Local man Michael Pyke (31) was attempting to clear a fallen tree with a chainsaw when the tragedy occurred. Gardai believe that Mr Pyke was attempting to move the tree on the Cahir to Ardfinnan road, when another tree collapsed and struck him. Emergency services were called but Mr Pyke was pronounced dead at the scene. His body was later removed to Clonmel Hospital. Meanwhile, at approximately 2.45pm a serious road traffic collision occurred in the Ravensdale area of Dundalk, Co Louth. 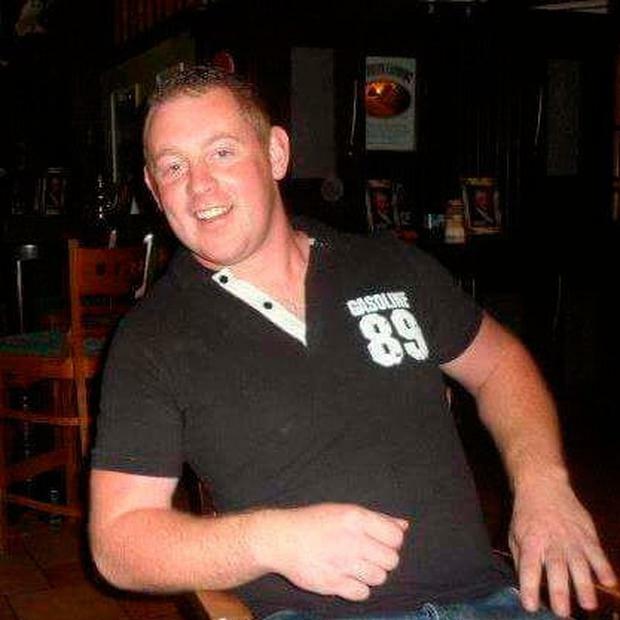 Fintan Goss, who was aged in his 30s, was the driver of a vehicle when it was struck by a tree. It is believed the married father-of-two had been travelling home early from work due to the storm when tragedy struck. Mr Goss lived in Ravensdale with his wife and children. They were supporters of Fine Gael and last night the chairperson of Dundalk Municipal District, Cllr John McGahon (FG) said: “This is an absolute tragedy. Fintan and the Goss family are extremely well regarded in the community. Taoiseach Leo Varadkar extended his sympathies to the families of those killed. He has said that the "full resources of the state" will be deployed for the clean-up action. "The full resources of the state will be deployed for the clean up operation. Crews from UK and Northern Ireland will be in to help," he told RTE. He also urged continued continued caution. "We have had three tragic deaths but the most important thing is that no-one else else losses their life. There are still dangers even if the storm is gone. Following a National Emergency Coordination Group, its chairman Sean Hogan said: "There will be dangers even after the wind has passed. "Unfortunately this storm has left tragedy in its wake and we extend our sympathies to these families." He said the "next stage is now underway" and clean up crews are already on the ground in parts of the country. Mr Hogan said the decision to effectively close down the country for the day by issuing a red alert weather warning was taken "based on the best scientific advice". He said Met Eireann has entered "unchartered territory" but the emergency group was in no doubt that it was the correct decision. ESB Networks has warned that it could be up to eight days before power is restored to all homes. Assistance is to be flown in from England and Scotland on Wednesday to help with the massive power outages. Derek Hynes of ESB said there are "significant public safety hazards" around the country. He urged people not to cut timber in a bid to clear lines - but to instead contact ESB for expert help. The company will prioritise vulnerable customers such as nursing homes and medical facilities. "People should not take any risks over the coming days," Mr Hynes said, adding there are 5,000 individual faults. The HSE have warned patients to expect "some disruption" this week as they deal with a backlog of cases. Some elective surgeries have cancelled on Tuesday. Brendan Lawlor of the HSE asked that people only visit hospital emergency departments and GPS "if it is really necessary". Education Minister Richard Bruton said the decision to keep schools closed was made in the "interests of safety". "It is recognised that the decision to close schools will have a major impact on families and on the workforce," he said. "However, this decision has been taken in the interests of safety for children and to provide clarity for everyone concerned." "Re making up school days, my department will take stock and issue guidance as they have done in the past having consulted with school management," he added. During the storm on Monday Facebook Ireland activated its 'check-in' feature in response to the storm. It allows people to mark themselves as "safe" and there is also a feature for people offering or requesting support from their local community. People used the platform to offer to check on people in their area on behalf of concerned friends or loved ones and to offer other help, such as sterilising baby bottles for people with no electricity. Climate Minister Denis Naughten said there is an urgency around planning for extreme weather events, as he warned that the frequency of such events will increase. "We are going to see weather events like this happen much more frequently than we ever would have before," he said. "We're going to see more of these storms... and we have to prepare for that." The south and south east of the country were hit with winds of up to150kmph. Meanwhile, winds of more than 100kmph were recorded at Malin Head late on Monday night as the storm hit the north of the country. The Defence Force also currently have 470 soldiers on standby who are available to assist in any operations and soldiers have been deployed in Cork already. As local authorities work to begin clean-up operations around the country, with the promise of extra funding from the Government, people have been urged to take care while travelling. Conor Faughnan, AA director of consumer affairs, said: "While the storm may have passed over us much of the damage it caused will still be visible for the next 24-48 hours so it's important that motorists check for updates on their routes before they depart, allow extra travel time and exercise additional caution." The association also advised motorists that insurance policies are valid for storm damage. Mr Faughnan urged drivers to take extra precautions for pedestrians and cyclists as the clean-up continues. He said: "Debris and fallen trees will make the roads more dangerous for everyone in the coming days so it's important that we all exercise additional caution to help minimise any further damage that Ophelia could cause." The Road Safety Authority also called for vigilance. "When Storm Ophelia has passed the danger to road users will still be present," spokesman Brian Farrell said. "Many roads around the country will be blocked and treacherous with downed trees, branches and pylons. "Council workers and emergency services will be out clearing these routes and people need to anticipate encountering these scenarios when using the roads." Hurricane Ophelia could cause almost €1.5bn worth of damage to Ireland, according to a leading disaster analyst. It had previously been estimated to cost around €676m in damage, but this figure has been more than doubled due to the storm's intensity holding up over night. Chuck Watson, a disaster modeller with the Enki Research Centre in Savannah, Georgia, said that the storm is comparable to Hurricane Debbie which wrecked havoc when it struck in 1961. "People with longer memories will remember Hurricane Debbie in 1961 which at the time caused $41m (€34m) worth of damage. It’s a baseline and used as a reference. "If that same storm hit today, it would cost close to $900m (€761m) in damage, with inflation, growth and development," he said. "Overnight/this morning Ophelia took a jog to the left and held a bit more intensity than forecast yesterday, so the impacts to Ireland will potentially be a bit worse than had the storm stayed on the forecast course. The current estimate is for $1.8 Billion (€ 1.5 Billion) in impacts, about half of that as physical damage and the rest as economic disruptions to government, business, etc," he told Independent.ie. In addition to the potential damage Hurricane Ophelia could cause to Ireland, it is estimated that the massive storm will cost the UK in the region of $300m (€253m) worth of damage. The estimated costs can vary, depending on which unit of model is used to measure the hurricane.